My outlook — and my skills — changed. I enjoyed the experience of learning to cook with whole grains, dried beans, seasonal produce and the like. It was easy converting familiar recipes to more natural versions, and it was fun to experiment with the almost unlimited seasoning palette of the spices Frontier sells. I felt great about the food I was making at work, and soon I was cooking the same way at home. Access to information about natural living and people interested in it got me thinking more about my food. I decided to become vegetarian partly because I realized how much I enjoyed vegetarian cooking. (The Café has always offered both a meat dish and a vegetarian option for every lunch.) Since cooking was such a big part of my life, it only made sense to eat the way I liked best to cook. And I had already determined from cooking at Frontier that there were no disadvantages of taste, nutrition or heartiness to vegetarian fare, so it wasn’t any kind of sacrifice for me to stop eating meat. By the time I started eating vegetarian, I was already buying a lot of organic ingredients for the Café, mostly items that were readily available organically. I also sought out organic versions of ingredients that were known to most often be high in pesticide residues. Then, about five years ago, the Frontier Café went completely organic. It was my job to convert all the foods and ingredients we were using to organic. It took some shopping around and relationship building. Cost had to be considered — I’m responsible for the Café operating within budget — but now we are totally organic. In converting the Café, I opened up new possibilities for buying organics for my family as well. So, while my “Aha!” has been a long, gradual change, I have arrived at a much different way of eating — and a much more fulfilling relationship with food. About the author: Liz Hopkins, chef and coordinator of Frontier’s in-house Organic Café, came to Frontier almost 20 years ago because she saw an opportunity to cook creatively here. 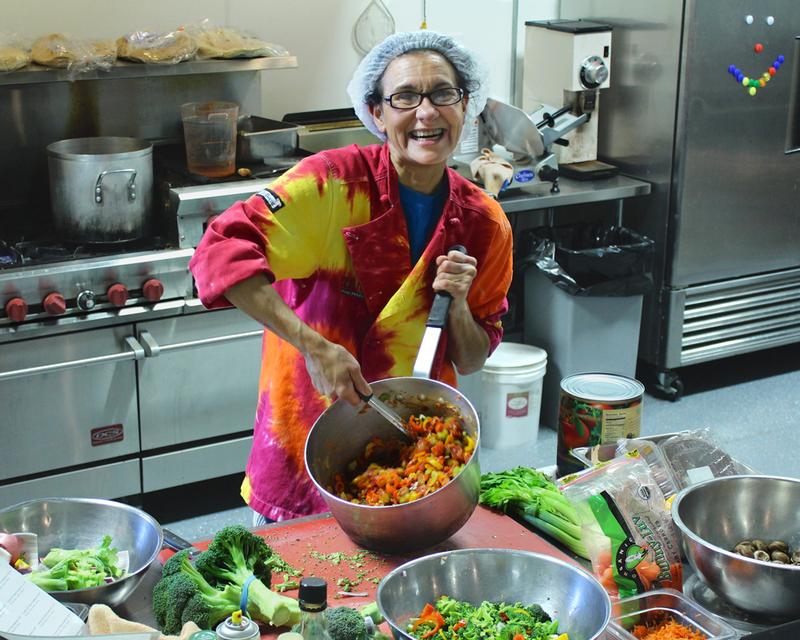 She’s been using her imagination and skills ever since to provide Frontier Co-op employees with delicious, healthful natural food that’s organic, locally sourced and seasonal. This entry was posted in In the kitchen, Natural health, Sustainability and tagged organic living by Cayenne Room. Bookmark the permalink.